Tablets, smart phones, and online surfing become like water and air for each one of us – these days. It plays a great role in shaping our lives especially the practical life. The work environment becomes a speedy one and there is no time for long discussions, searches, and wasting time while doing a small simple task. That’s why the need for having software that eases the workflow became a necessity. Optical Character Recognition (OCR) is one of the softwares that ease the work. 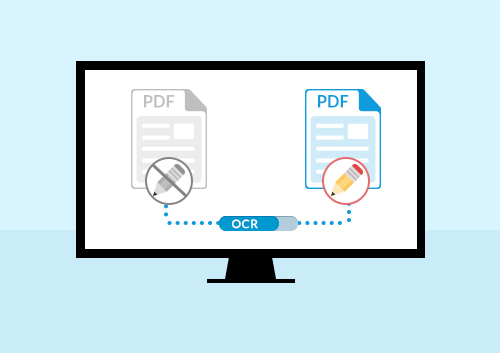 Optical Character Recognition is a program or a software that is used to convert different types of documents –papers, PDF, and images– into an editable and searchable data. This technology is widely used to achieve the utmost work sufficiency that can be done. In the following few lines, iDox will tackle most of the frequent beliefs regarding the mechanism of optical character recognition and how it plays a great role in digitalization and its relation with document management system. 1-What is the role of OCR? It is software that has a mechanical or electronic means that convert or translate the typewritten, the handwritten, the images, and the printed texts into an editable version that allows you to edit and quote from it. This mechanism is essential while dealing with routine tasks. As previously mentioned, the OCR converts documents into an editable version. So, it is important to integrate it with the document management system as these two systems work parallelly together for the sufficiency of the work. It is vital for every organization to use any available new technology that helps in improving the work. Optical Character Recognition is one of the important mechanisms these days.